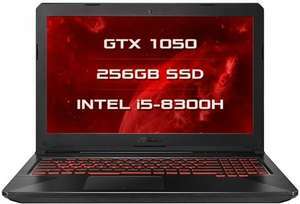 Spotted this deal, pretty good mid range Laptop for the money. 0% 12 months PayPal credit too! Huawei. It should do better viewing angles. If a laptop has two internal hard drive bays, I dont see why not. You could get it, it is a decent machine, if you are not happy with mechanical drive you could always upgrade to ssd. On paper but look at these thick bezels. Bleeee, average battery life and not the fastest. 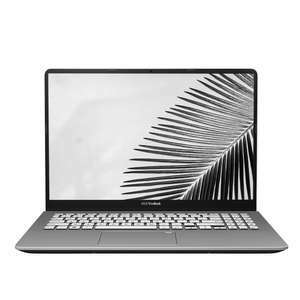 Do you prefer Asus to Dell? Does Football Manager even need a GPU these days (lol) not mocking, I just remember this being the benchmark of whether a laptop is good back in the day (though I have zero interest in it) and always thought it was CPU bound. 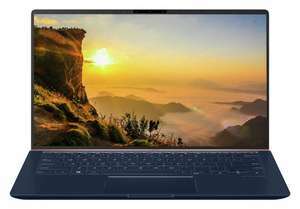 Its a FUll HD screen so if you want to play games on it the graphics card is more than suitable, especially for this price. It will have no problems with Football manager. I suspect the promotion was short lived. I know what you're saying. When you buy something already scratched, you don't need to be as careful with it. Still, it is worth knowing, as I've some people saying it's a lottery with amazon warehouse. Most of my laptops are second hand so it's not something I stress over. It’ll get scratched anyway. For me, having a laptop with some marks lets me still look after it but not freak out about hairline scratches and marks - it lets me use it like a laptop! I think I even prefer a lightly used machine. Never miss a 'ASUS Laptop' deal again! 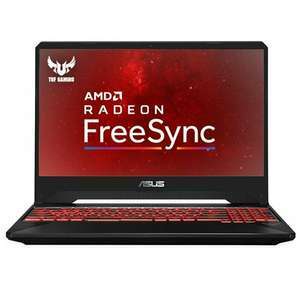 I think the FX705GM on laptops direct for £950 is a better deal. 8th gen i7 plus 17.3 inch. If gaming is under 90 then it's fine... There's only like 3 heat pipes so that's understandable. I have a gl503 -V , i7 and 1060... but still overhear like crazy... normal running is 60 degree ... gaming is 80 + degree.. is that normal? Wow. Thanks for the link. I know that I should have waited.....too late now, I got an ipad instead but this is a great price. What to do u wrap ipad from gift paper and send it back for this? I cant now, dam I cant !!!!!! Perhaps patience is still a virtue. In the meantime I have 3camel email alerted it. Yup but last week it was listed @ 599 on amazon, two weeks ago it was £ 550. Dont pay 699 for it. It is not worth it. Like i said some manufacture refurbs are brand new apparently. If some have been not right from the start. That isn't second hand either. I know your argue that if someone has purchased a product and has not worked from the start, you will argue that is second hand. Which techically you would be right, but you never know. No miles on the clock, everything brand new. I'm not sure but HUKD needs one lol I appreciate the chant, but I wouldn't get the job. I've tried and failed to stop you two bickering multiple times. I don’t disagree, some of the deals on ex-lease machines are great but the ones I see are usually ok-ish. Of course if I had been in your shoes I would have bought that for £150 too! You can get a Dell E7440 battery for £20-30, same for a ThinkPad. That’s the benefit of ex-corporate machines, hot-swappable batteries and easy serviceability as well as good build quality. The other day I got a Dell E7450 ultrabook from ITZoo, Core i7, 8GB RAM and 512GB SSD for £150 and the battery was fine, 5+ hours off light use but even factoring that in it would be under £200. Anyway, ex-lease isn’t for everyone I know that but I feel that I’m also helping reduce my and my company’s environmental impact at the same time. I would go for the ex-lease ones if it wasn’t for the mediocre battery life and the weight. Whole idea of a laptop is portability. If you factor in the cost of a new battery then it makes it more expensive. Ex-lease machines are great value if you’re always near a power outlet and don’t mind lugging a charger around though. £200 - eMMC?! - Does not compute. Exterminate. Exterminate. Good point, not something I'd use but would be awesome for an external graphics card to get some gaming done! Sounds like a good deal....but then i realised no thunderbolt at this price...still waiting for spectre 2019 to go down in price.. They are pricey, but the form factor is just so nice. They are killing it on the portability game! I think this is potentially a good deal if you are more concerned with screen quality rather than processor etc. Lots of the laptops I saw in store had better stats but absolutely shocking screens. The screen on this is amazing. I do need an update from U 14, but it's fine for now. I have a Zenbook that's at least 5-6 years old, fully erased MS.
What distribution of Linux do you use and how did you decide on what laptop to get, since there are sometimes issues in getting Linux to run on some Laptops (except business ones like ThinkPads...)?